Italy is home to numerous gems that simply astound any traveler’s imagination. One of the main things that the country is sincerely proud of is gorgeous Italian cities. From the north to the south, Italy swarms with magnificent destinations, starting from stunning cultural metropolises like Rome, Florence, Venice, and Milan, dominated by majestic cathedrals and soaked in history, to lovely hospitable southern towns and villages such as Amalfi, Ravello, Sorrento, and Positano, offering charming winding streets with colorful Mediterranean houses and an unparalleled coastal vibe. Italy has brought up lots of wonderful artists, architects, engineers, and inventors, who changed the world and whose legacy is still alive these days. Italy is home to more than half of the European cultural heritage, which has no equals anywhere in the world. The Uffizi Gallery in Florence, the Borghese Gallery in Rome, the Gallerie dell'Accademia in Venice, the Sistine Chapel in Vatican - this is just a short list of places where the immortal works of Italian art created by famous Italian geniuses are collected. Italian food is an essential part of the history and culture of the country which is even sometimes equated to the art. Pizza, ravioli, risotto, and, of course, pasta - what an unlucky person who has not tried at least one of those! Apart from providing the opportunity to try some authentic world-famous delicacies, Italian cuisine has a lot in store to please gourmets from all over the world. The thing is that each Italian region has its own local specialties and traditional secrets of cooking, contributing to the whole diversity of gastronomic delights of the country. And let's not forget Italian wines! Already have your mouth watering? It is no coincidence that Italy is considered one of the most beautiful countries in the world. This is the place where the snow-capped peaks of the Alps harmoniously contrast with the orange groves of Sicily, with the vineyards of Tuscany and Lazio as well as the ravine-cut lands of Basilicata. A real treasure of Italy is its magnificent lakes. Lakes Como and Garda, set in Lombardy, are the most popular ones among tourists, however Central Italy also boasts such lakes of volcanic origin as Albano, Bolsena, Bracciano, and Vico. And this is not to mention the country's top-notch beaches and emerald waters washing all of the "boot's" coasts! 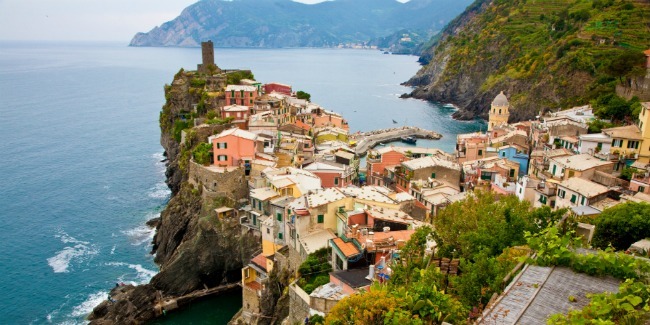 Speaking about why it is worth going to Italy, we can’t miss the beach vacations by the sea. Italy boasts the longest coastline in Europe, being washed by the waters of five seas: Mediterranean, Adriatic, Ionian, Tyrrhenian, and Ligurian. Almost all of the 20 Italian regions, except Umbria, have access to the sea, which provides appetizing opportunities for spending an unparalleled holiday, basking on the sun and admiring the beauty of the azure blue sea. The beaches differ from one region to another but still can meet all demands and satisfy all tastes. With no exaggeration, Italy is the kingdom of shopping and an honored trend-maker for Europe and the whole world headed by the capital of fashion, Milan. Apart from such brands as Gucci, Dolce & Gabbana, and Prada, Italy has lots of outlets that offer additional discounts. Moreover, if you travel during the sale season, which is early January and mid-July, you can easily buy clothing and bags from the most fashionable Italian brands with 70%-discounts. Quite hard to resist, isn’t it?